The leader of the Labour party, who has spent the past 18 months telling anyone who would listen that he is on his way to No 10, has now revealed that he hasn't read all of the withdrawal agreement and doesn't know which way he'd vote in a second referendum. And this is the man who wants to be our next prime minister? The Labour party has been totally duplicitous over the issue of Brexit, twisting and turning over its stance as it seeks political advantage rather than anything that might pertain to the future of the country. Now Mr Corbyn has admitted he doesn't have a grasp of the matters at stake and while he has never exactly given the appearance of being an intellectual, you would have thought that at the very least he might try to acquaint himself with the material at hand. But no: he's too busy dreaming of a socialist future to engage with the most serious issue facing our country since the Second World War. Contrast that with our dutiful Prime Minister, doggedly battling away in circumstances that would finish off most people, determined to do her duty to her people until the bitter end and taking time to answer questions for readers of the Daily Express. 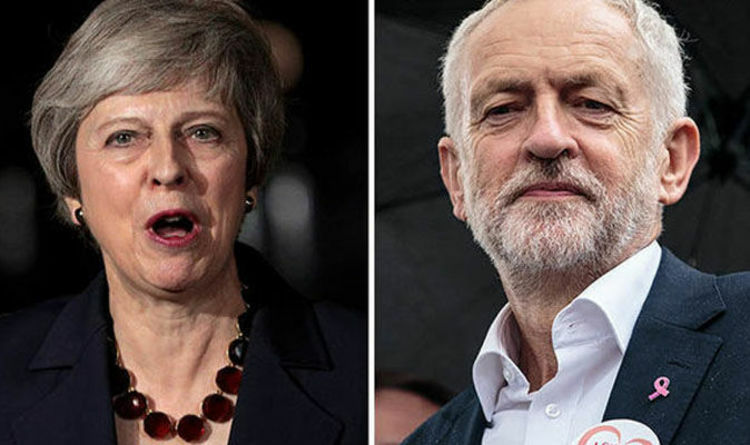 And the shameful Tory MPs who are lining up to attack Mrs May might want to take on board the fact that if they do manage to bring her down, Mr Corbyn is what we might well end up with. And whither the hardline Brexit then? WHEN is someone going to finally get to grips with our porous borders? They are clearly not fit for purpose. We have multiple reports today of illegal immigrants trying to get in after crossing the English Channel. The problems are obvious - not enough staff and not enough determination to sort the problem once and for all. It is the issue of migration, both legal and illegal, which has troubled the British public more than any other for years. It is hard to see this changing, when so little has been done to calm their fears or address the problem. Is it too much to hope that in the light of these latest reports on illegal immigrants someone will finally act? OUR pictures today of the heir to the throne are heartwarming. Has Prince Charles ever looked so happy or relaxed? Charles is not just a prince: he is a husband, father and grandfather. And it is these roles that have clearly brought him the greatest content.